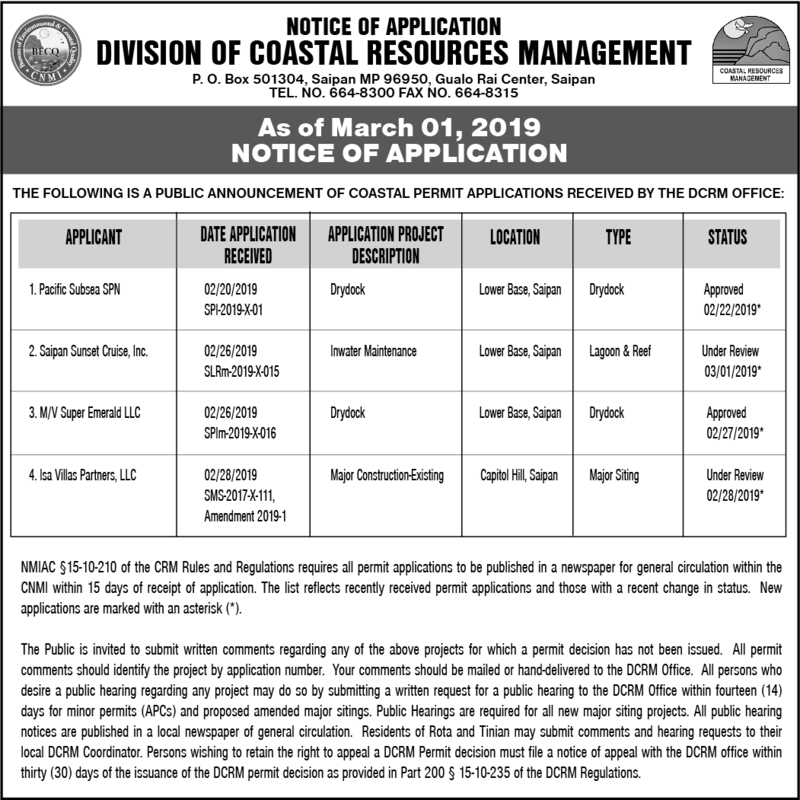 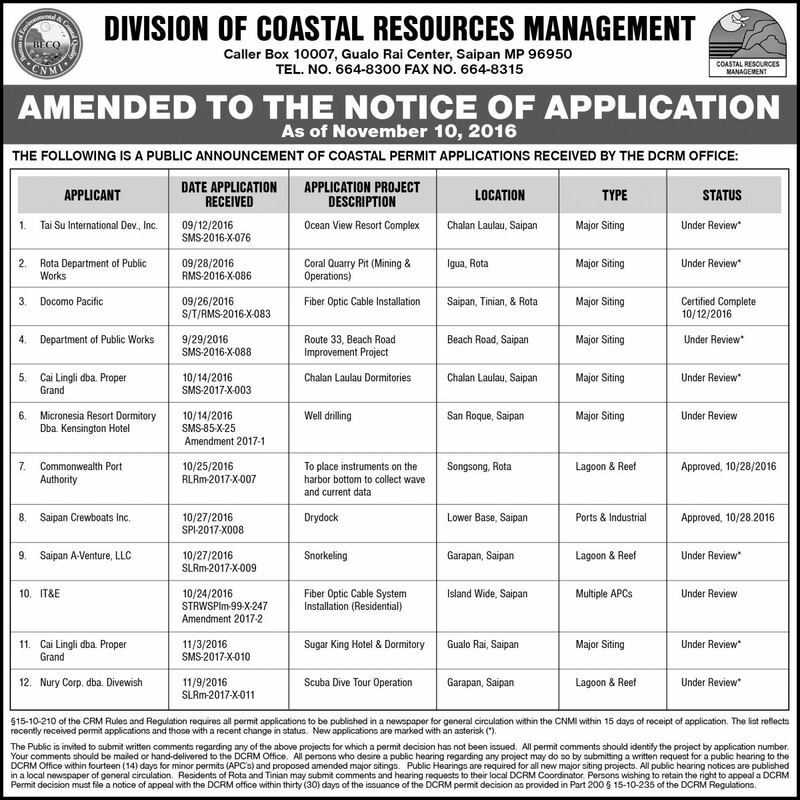 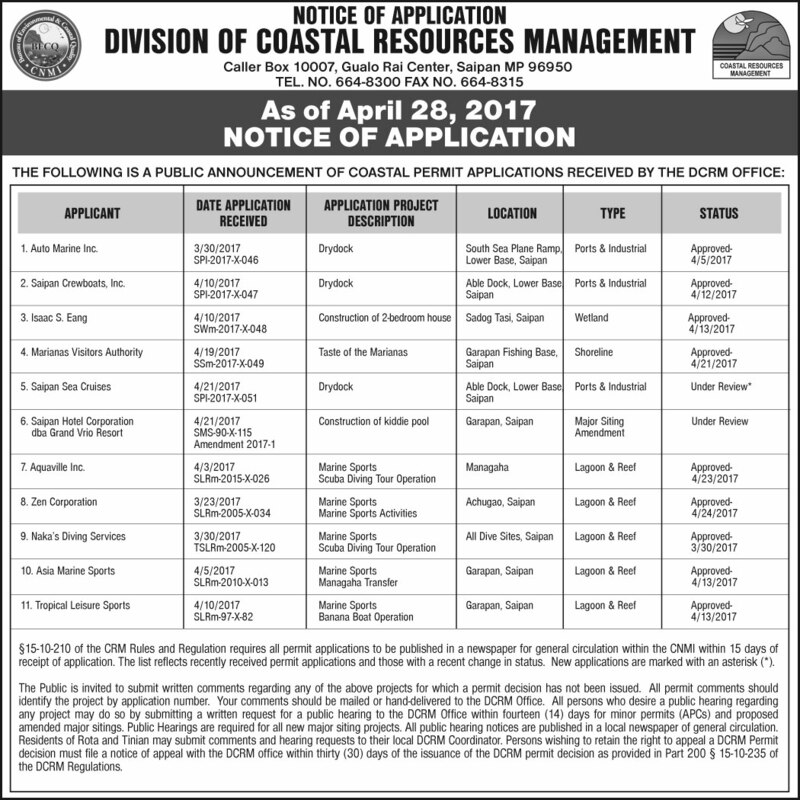 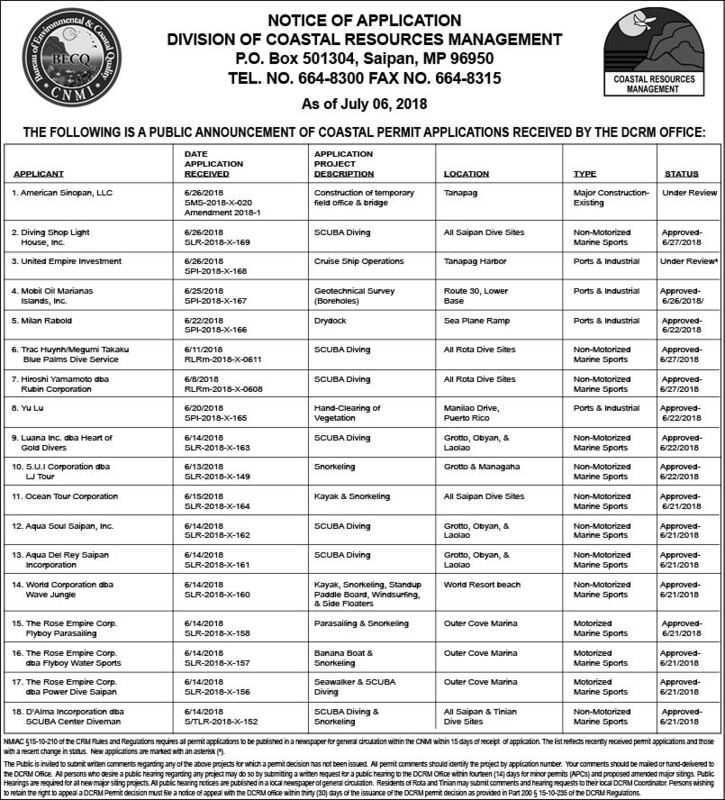 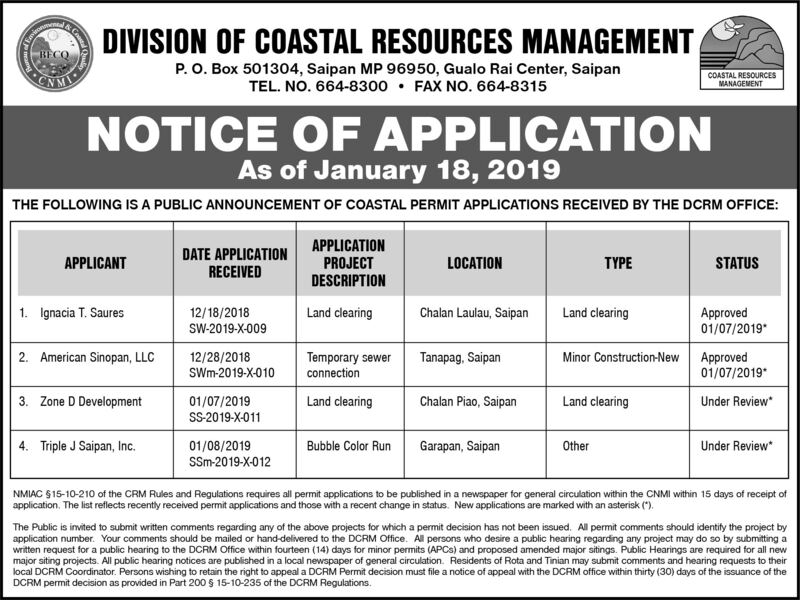 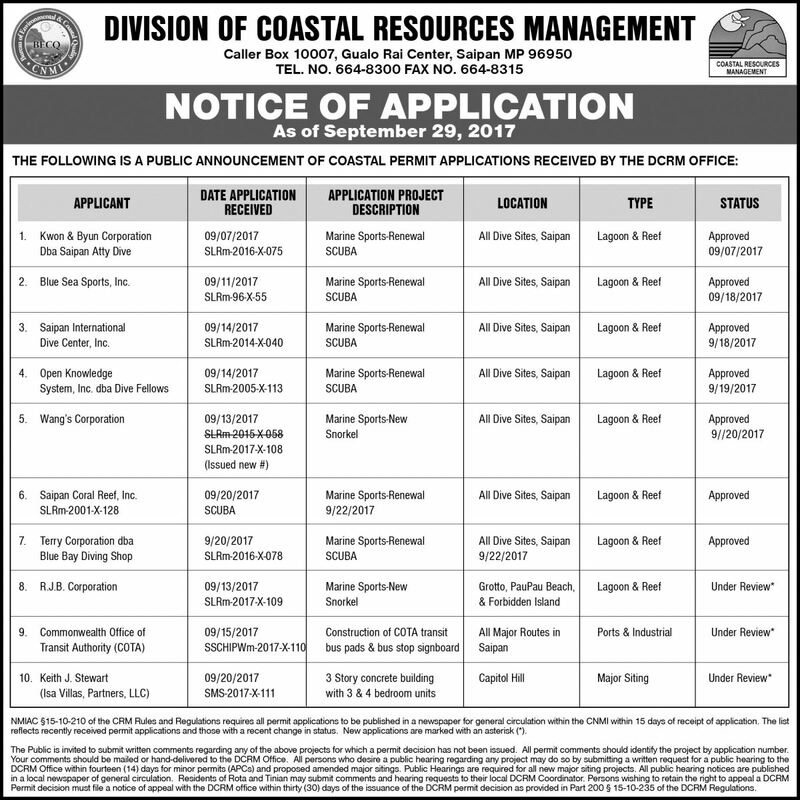 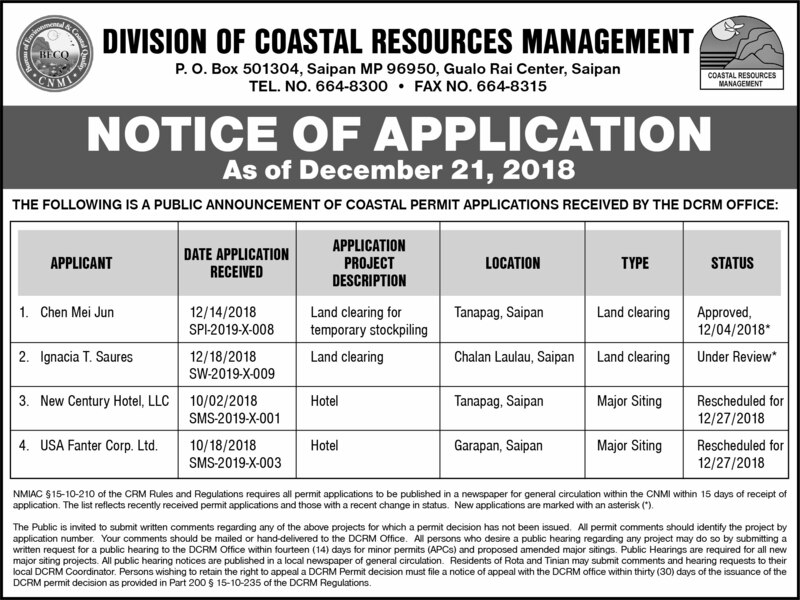 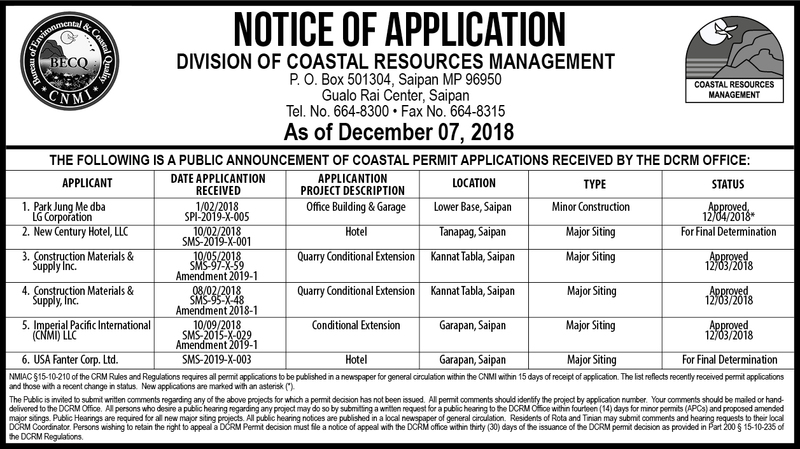 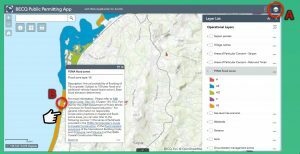 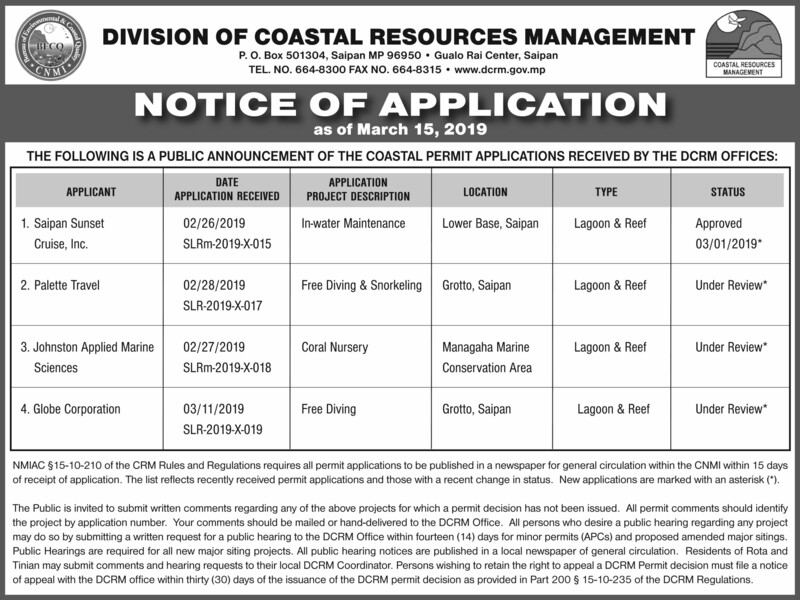 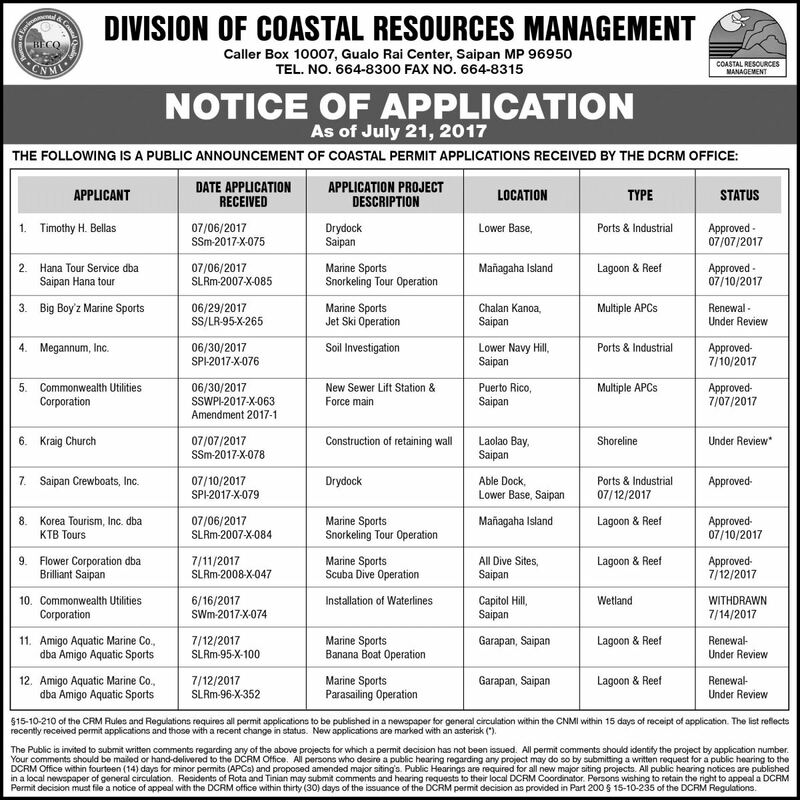 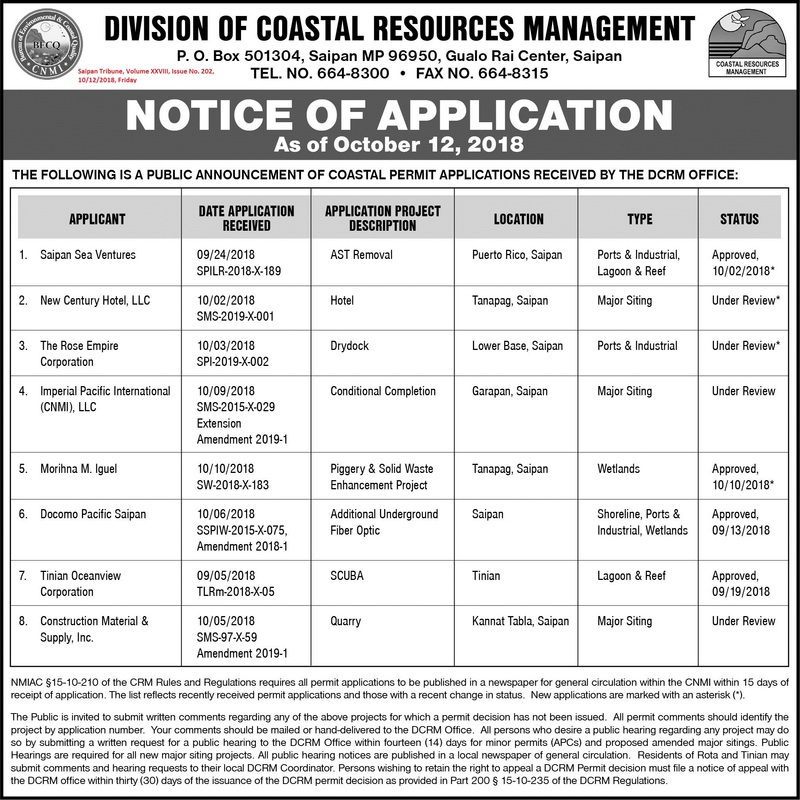 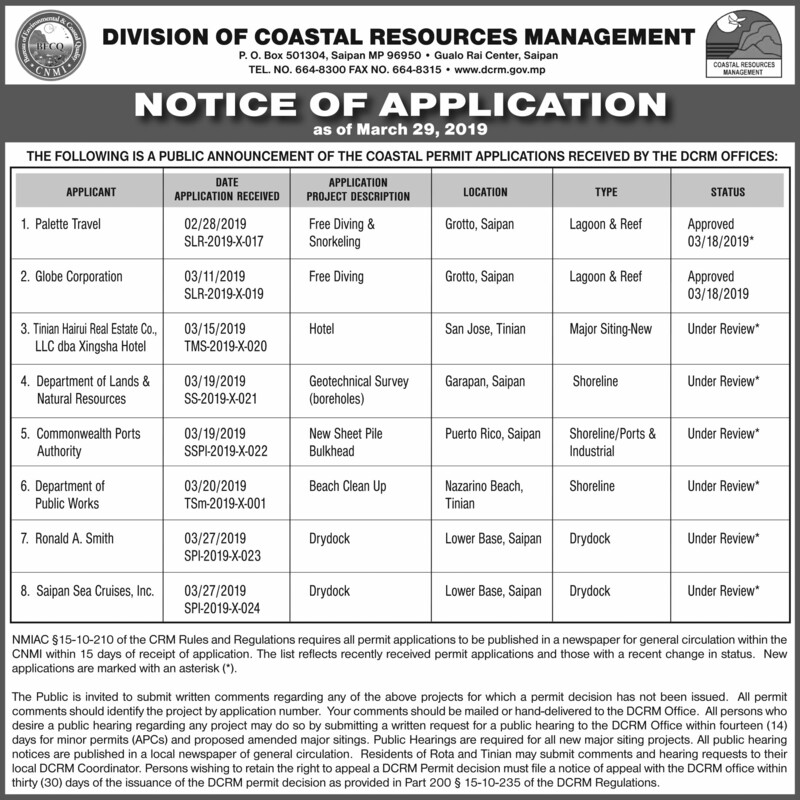 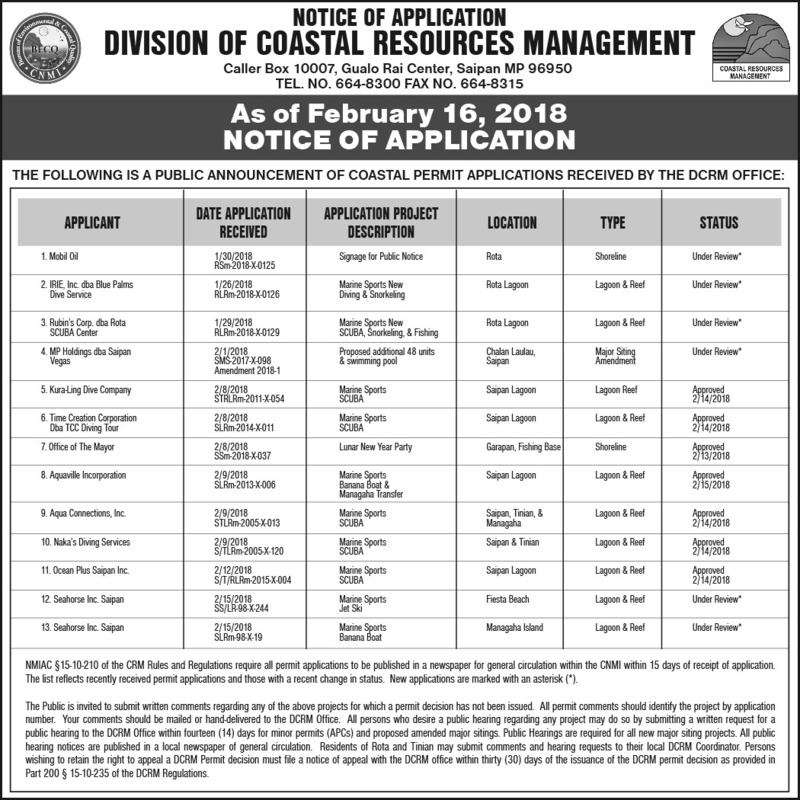 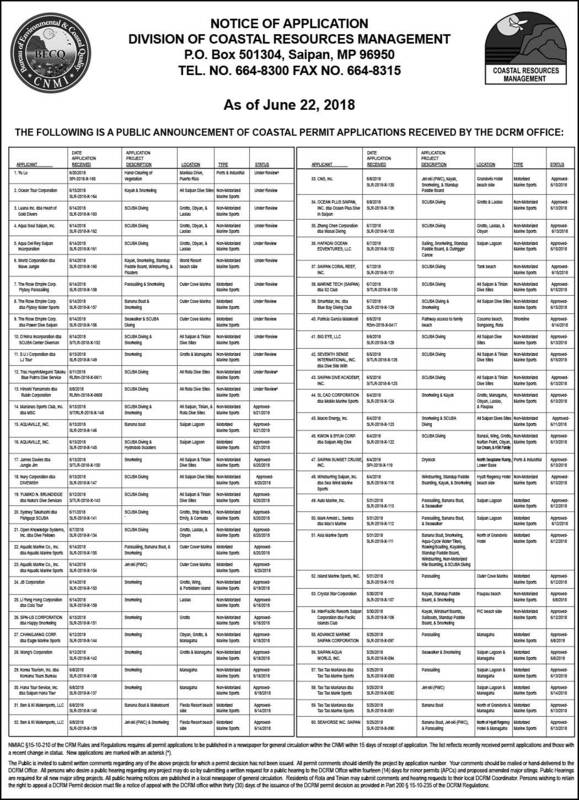 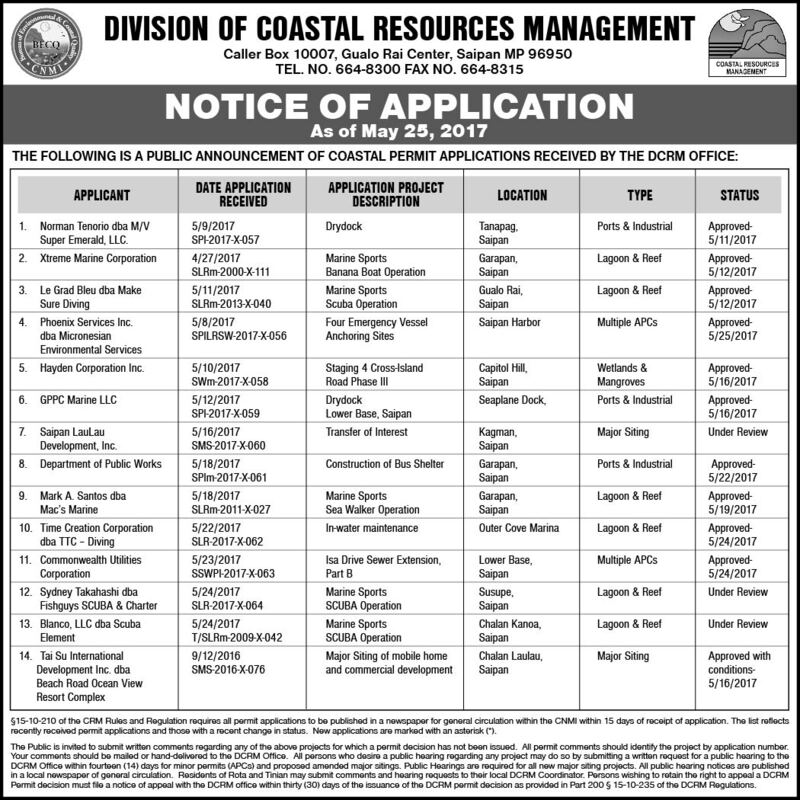 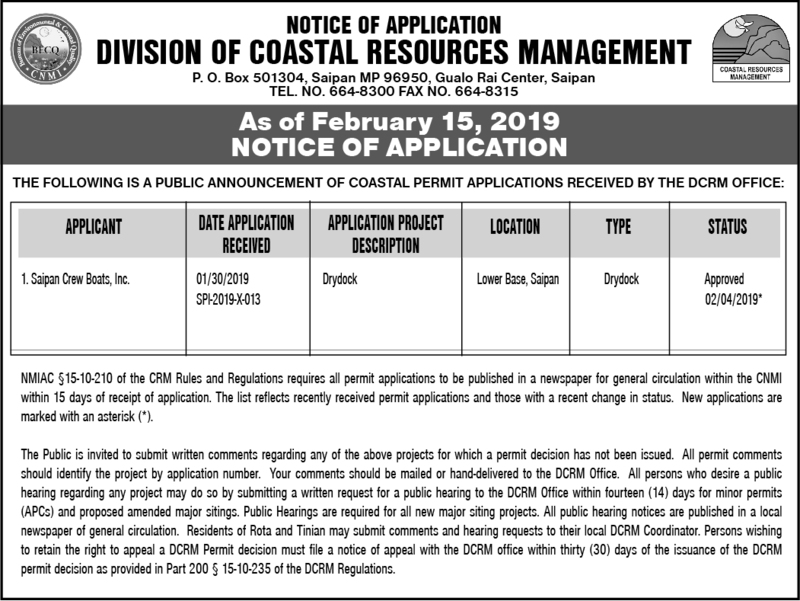 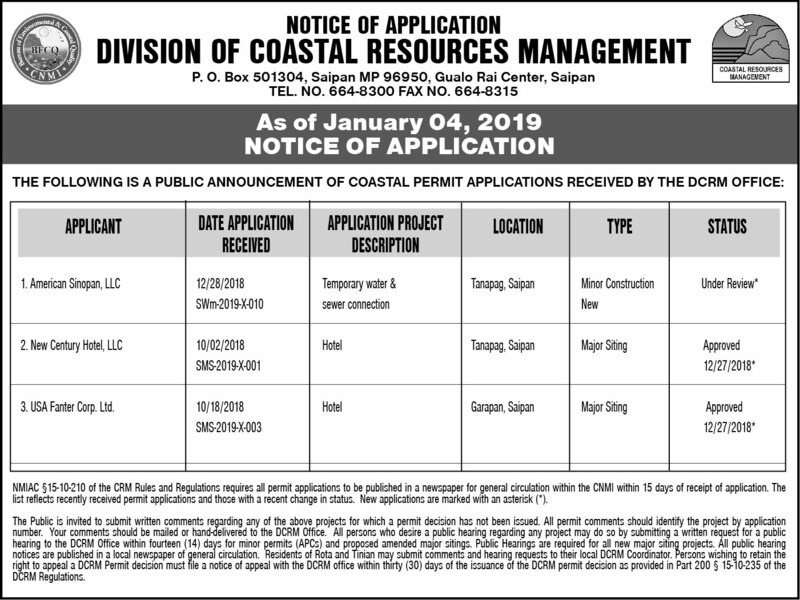 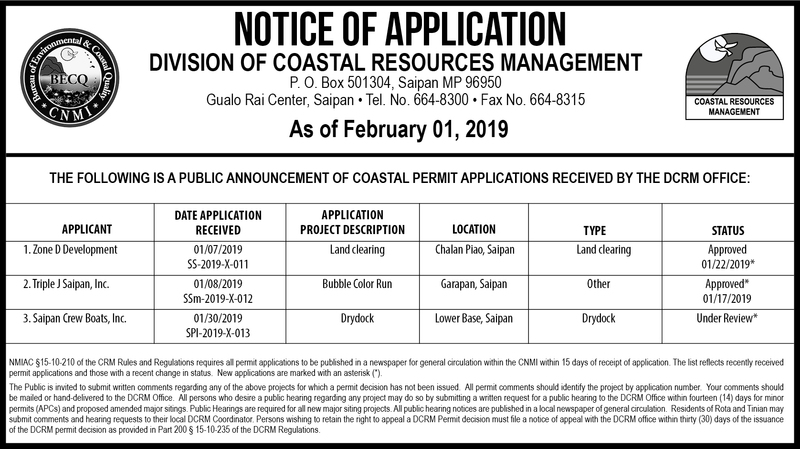 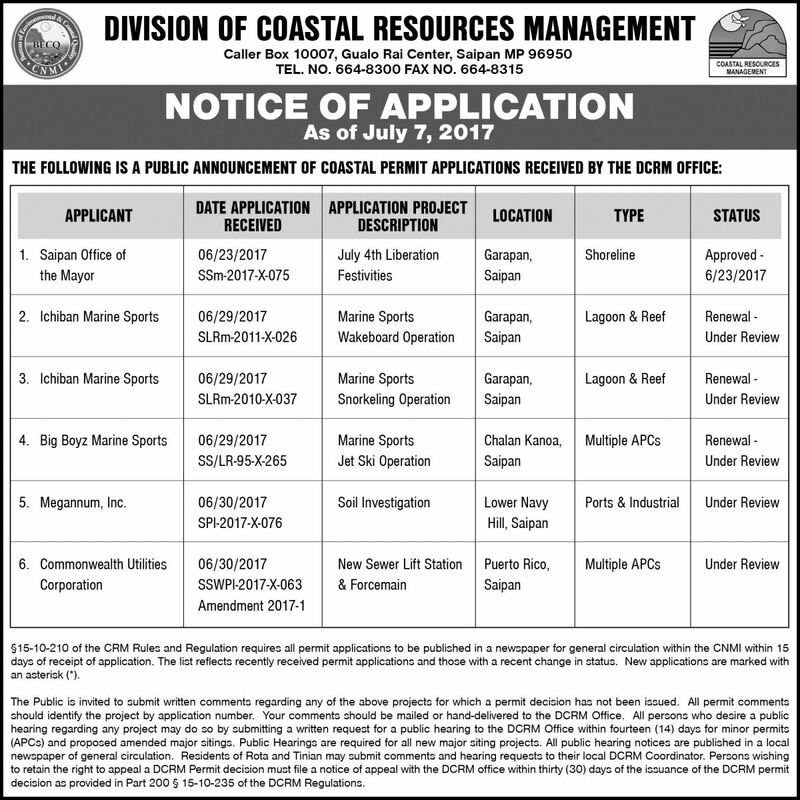 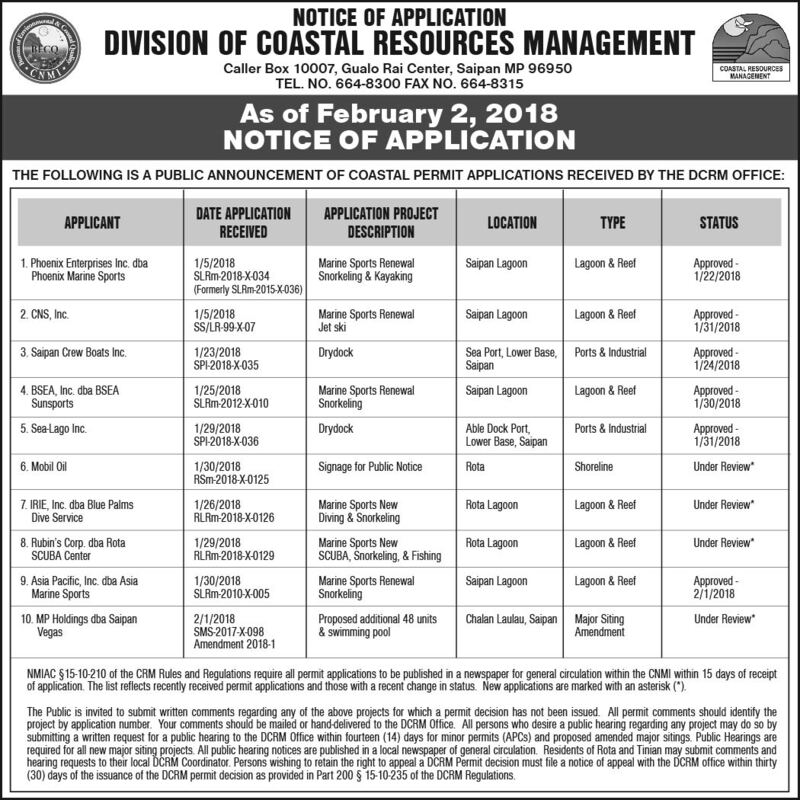 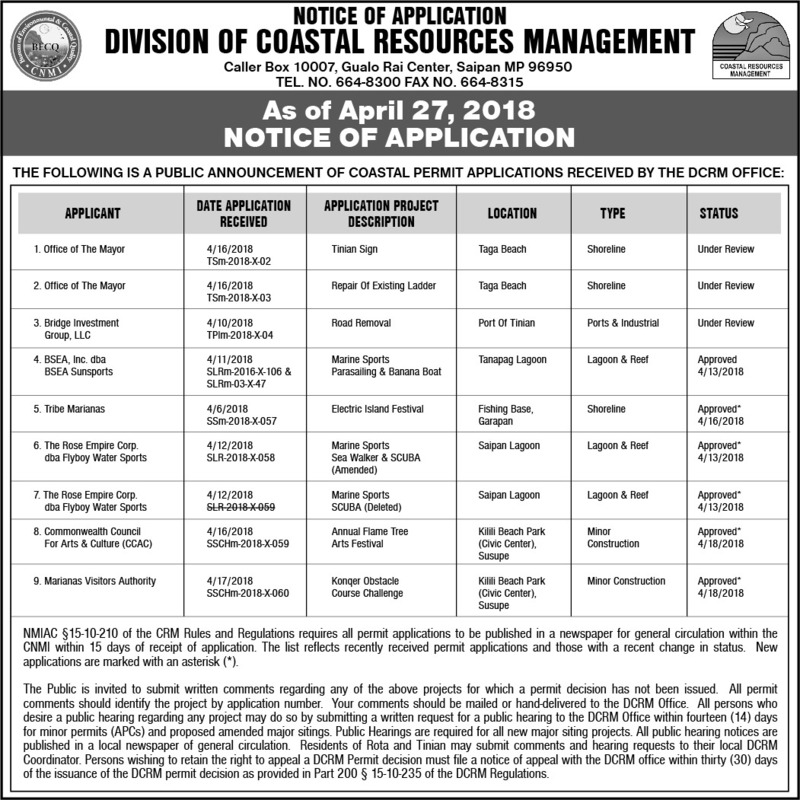 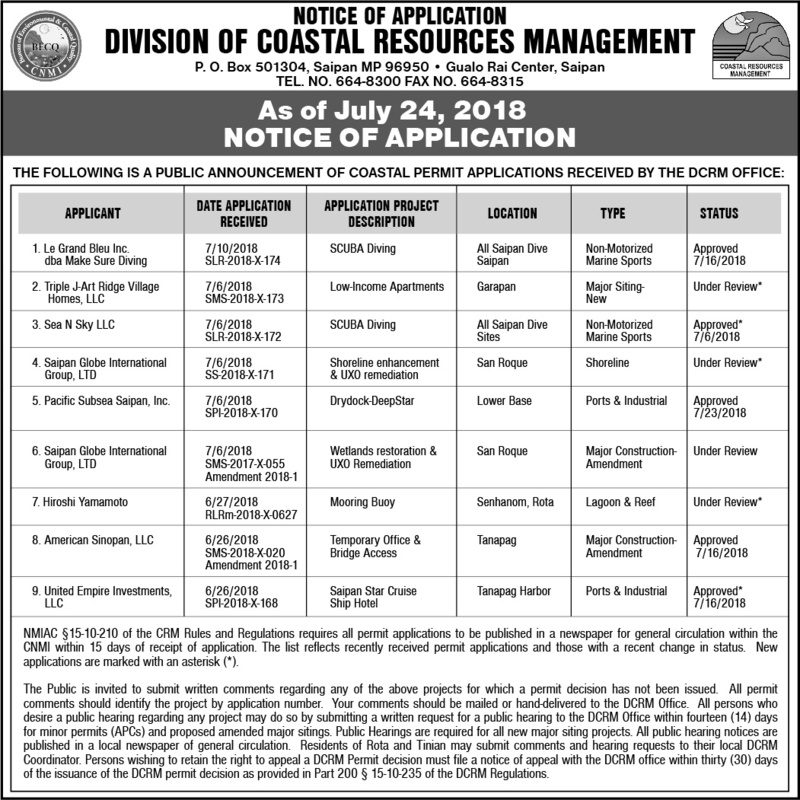 To see what applications have been received by the Division of Coastal Resources Management, please click the links below. 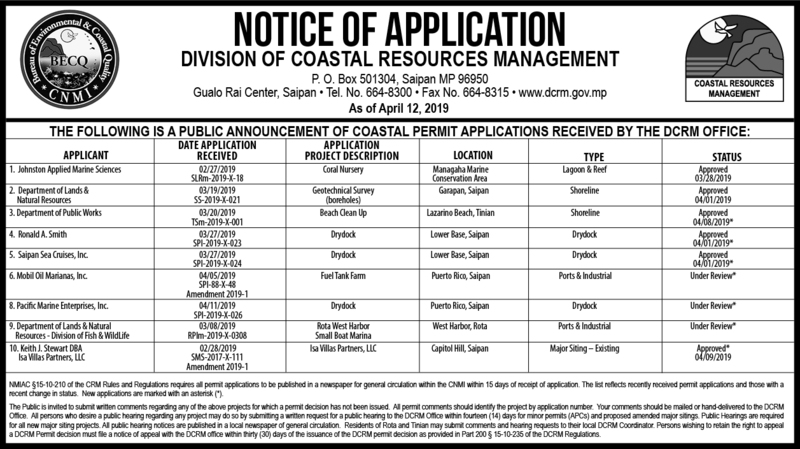 The Public is invited to submit written comments regarding projects for which a permit decision has not been issued. 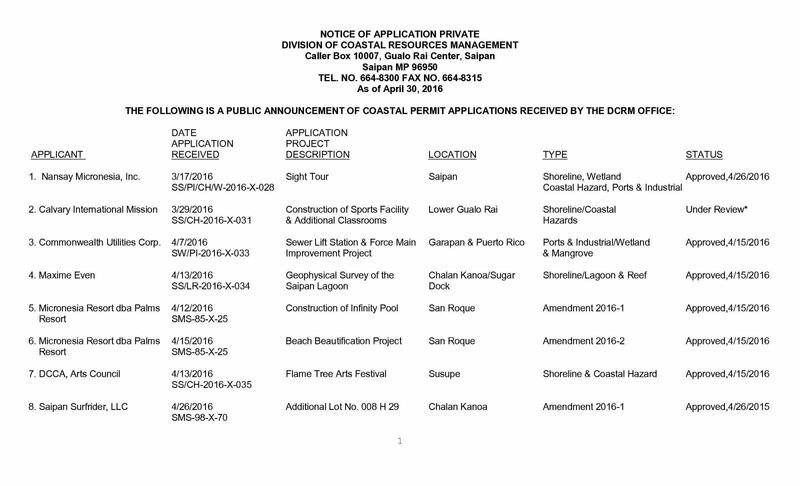 All permit comments should identify the project by application number. 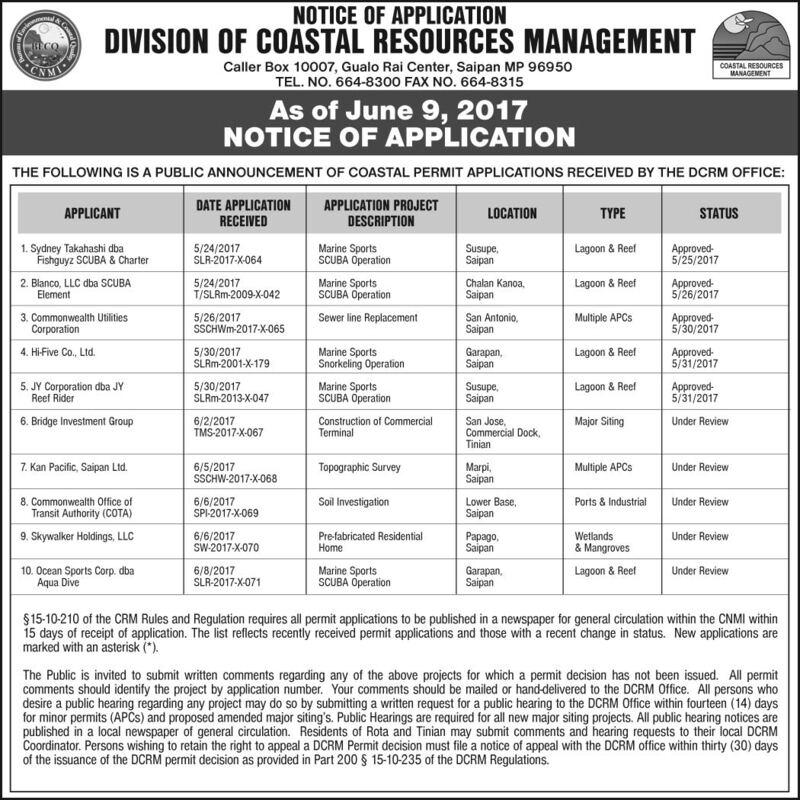 Comments should be mailed or hand-delivered to the DCRM Office. 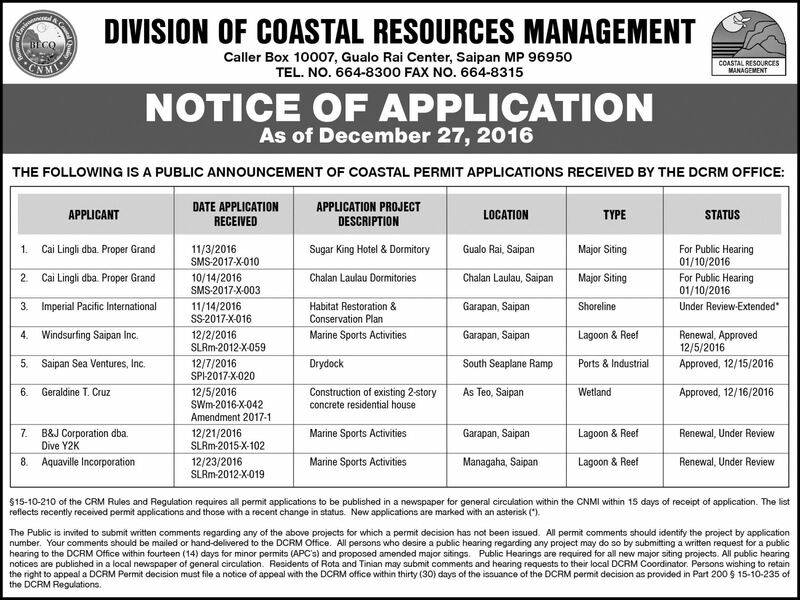 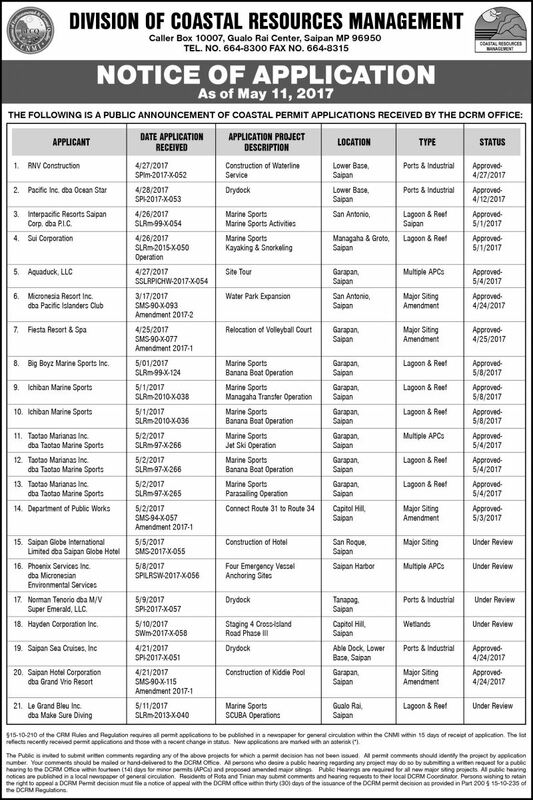 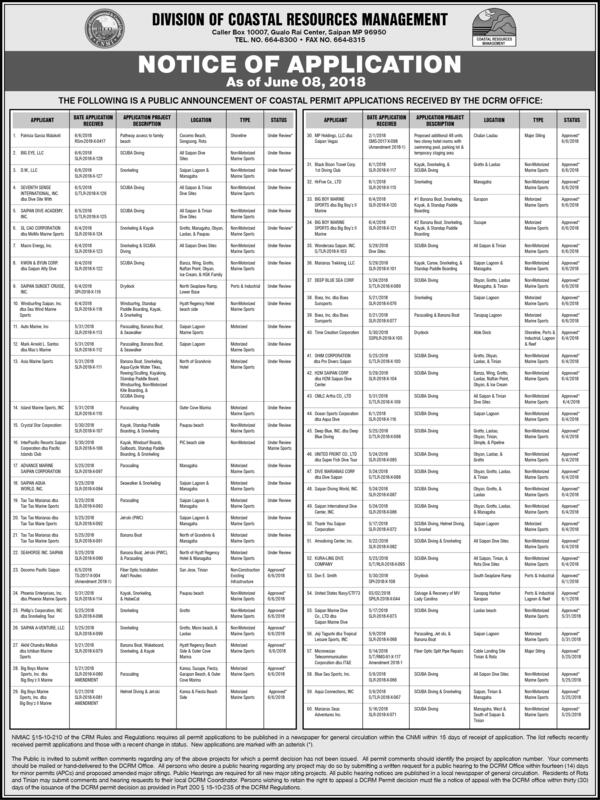 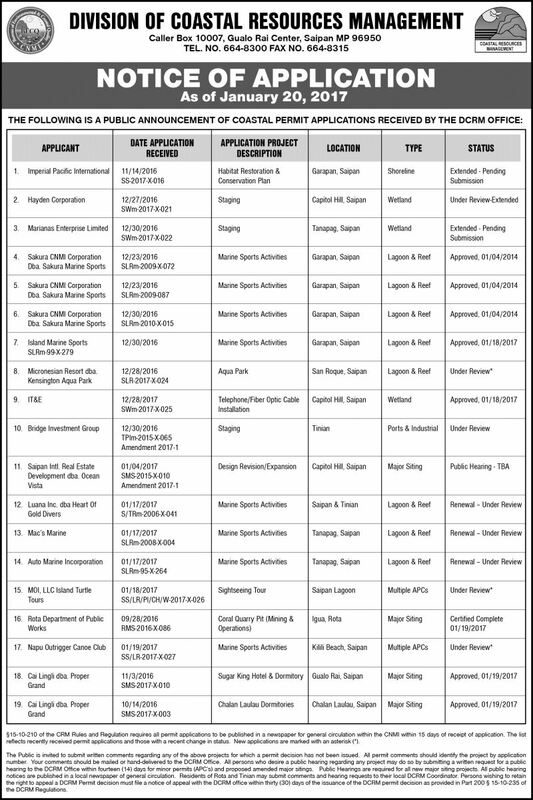 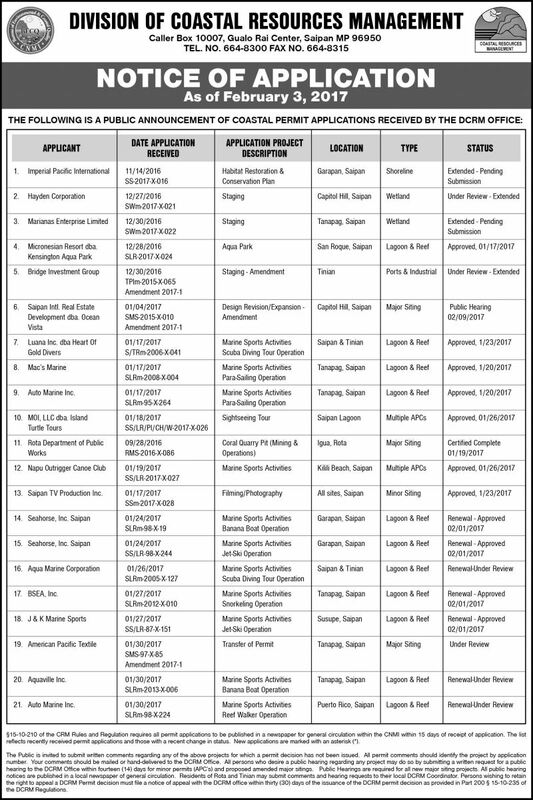 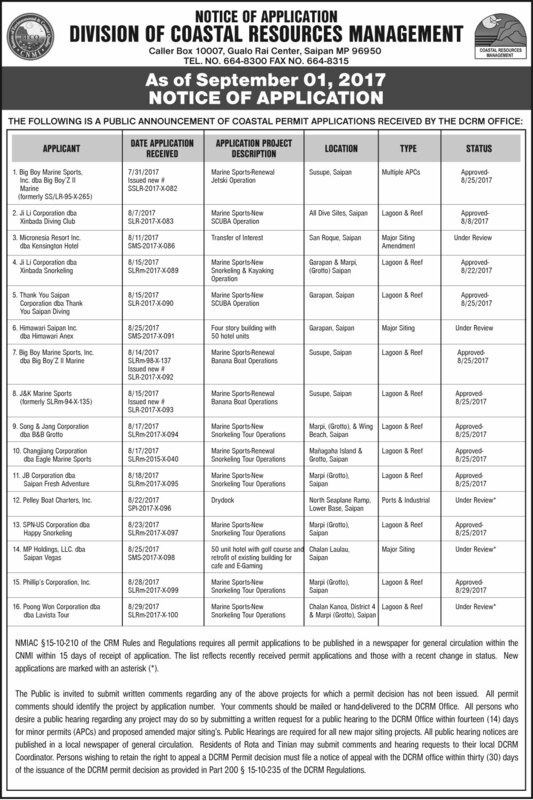 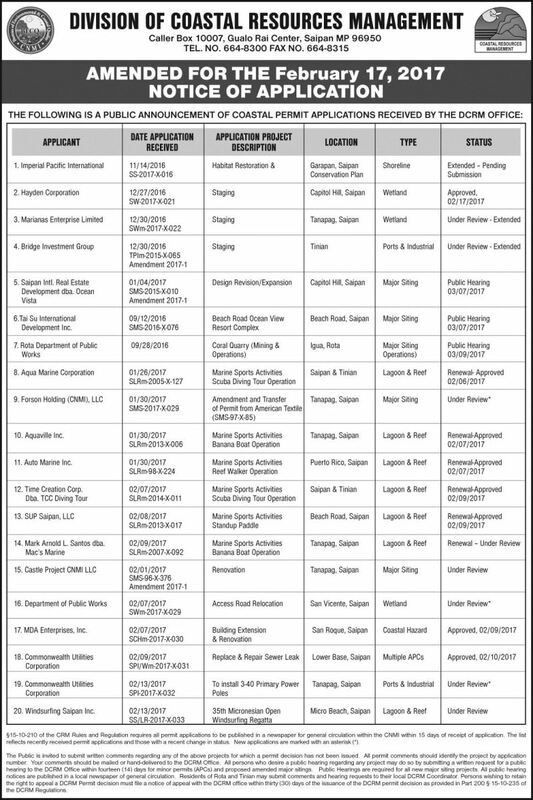 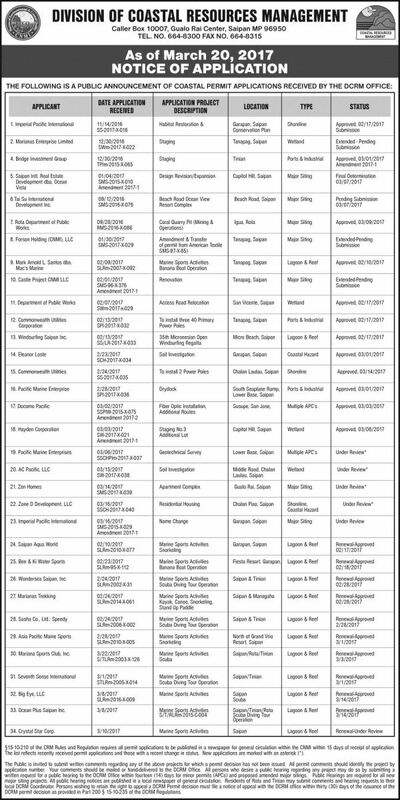 Public Hearings are required for all new major siting projects. 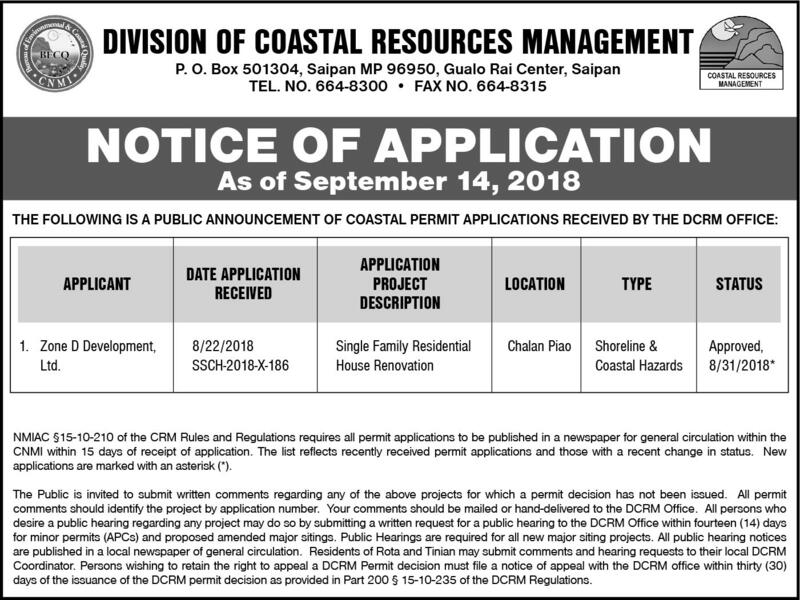 NMIAC § 15-10-220(a) establishes that public hearing will be held upon request of a DCRM Agency Board member or upon receipt of a petition signed by at least people, received within fourteen (14) days of the date the application is published in the newspaper. 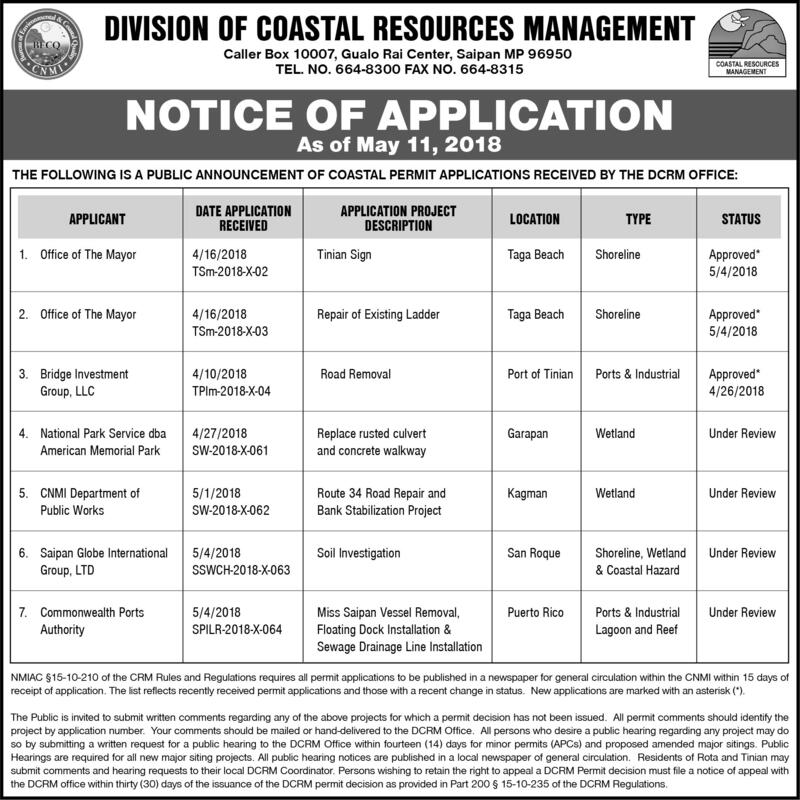 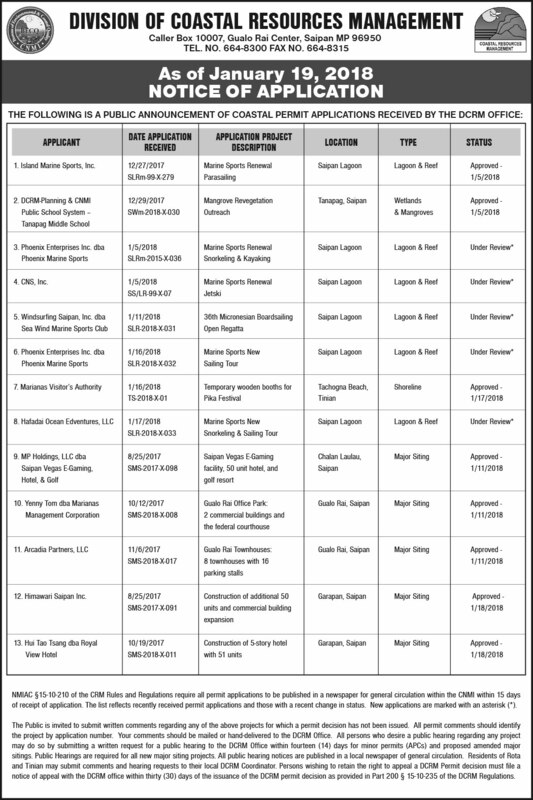 Please see the Events Calendar to view upcoming public notices and hearings, as well as other exciting DCRM events.